From the very beginning, Koreans were the ones who have always been taking care of their skin and its health with the help of special creams, diets and cosmetics. This is the reason why Korean sheet masks are now the most popular and, perhaps, effective ones. If you google ‘korean sheet mask’ you will definitely see many pictures of people wearing vivid colourful masks on their faces, shop stalls with hundreds of different types of masks and even unique design on them. For example, with a rose flowers or one of the characters of the popular brand ‘Kakao friends’ on it. They may sometimes be pretty expensive but, in most cases, the price is surely worth what you get in return. 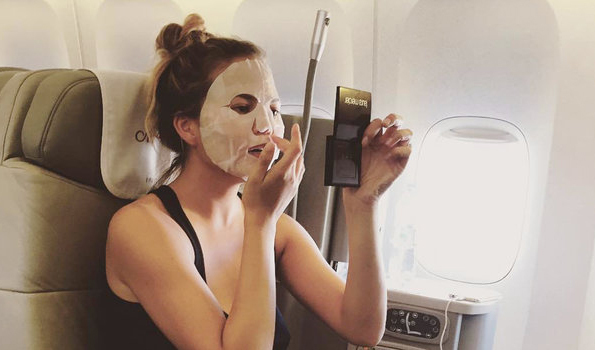 On the other hand, in-flight sheet masking started almost unexpectedly when celebrities started using them while travelling on planes. They did this because of the low humidity in the skies that can cause horrible consequences such as making your skin either dry or more oily, in case you already have an oily kind of skin. Thus, if you are not afraid of strange looks or giggling, you can try in-flight sheet masking. Such ‘therapy’ will be healthy for your skin and can make you more relaxed. However, you still need to know what masks will be good or bad for you. It is doubtless that traveling by planes nowadays is not a problem at all. It is safe, often quick and comfortable. But you have to remember there isn’t everything you have at home. So, if you are thinking of bringing clay masks on plane, I have bad news for you. However, if not on plane, using them may be a very effective way to take care of your skin. 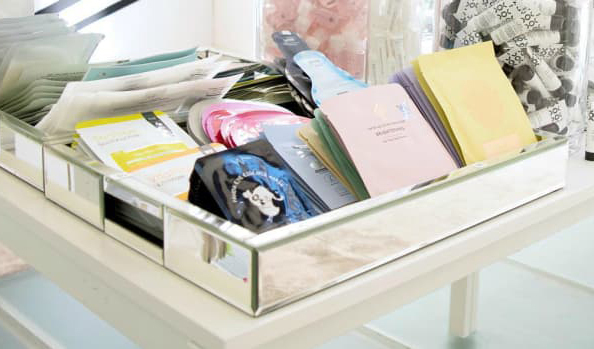 On the other side, sheet masks are completely opposite to them – you can use one, clean your face from the mask’s leftovers with special wipes or rub it in and that’s all. The ones that are most popular are hydrating, because of the skin problems that flying on plane always causes. Facial treatment masks and intensive revitalizing masks are well-known as well. If you want to know more about various kinds of sheet masks, check out this article. These are not the only benefits of using sheet masks. However, you may be thinking it is better getting to know new things (or old ones that you have been afraid to try) from one’s experience. Thus, we prepared a compilation of two videos for you to see what effect these masks can cause if you try them once or even use them every day! 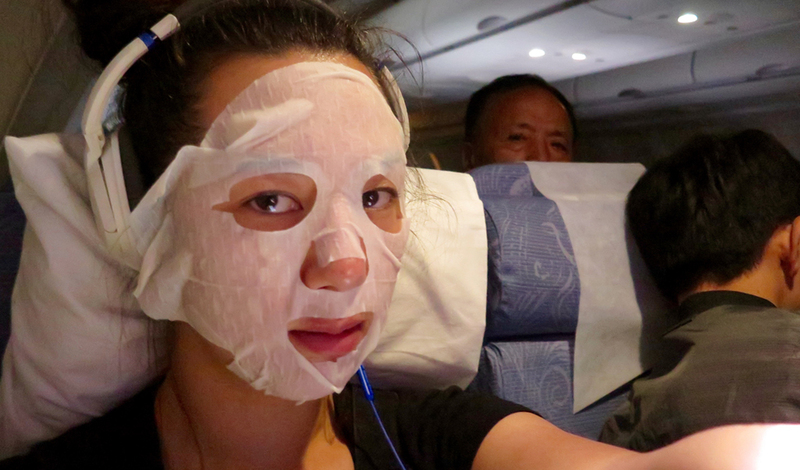 Maxine Builder, popular beauty blogger and just an ordinary adult who struggles with acne, showed her readers and fans what in-flight sheet masking might do to your skin. Maxine explained how she prepared for it and what she brought with her on plane in details. Thus, you can follow her advises in the article to be sure you and your skin will remain safe. “My skin was not clearer after testing out this multistep skincare routine, but my face wasn’t any more irritated than it was before I stepped on the flight. I was also relieved that I didn’t feel totally grimy after getting off of an airplane despite the lack of sleep”, comments Maxine. All in all, although none of the best sheet masks can make your skin condition be perfect or cover up all your acne scars, they do effect your skin in a good way. By trying again, again and again, you will find your favourites that can at least make you forget about the tough day you have had, clean your irritated face or hydrate it when you need it. Thus, considering all the pros and cons, we recommend you to try sheet mask skin routine and experience this completely healthy and relaxing process yourself!